Dry Risers in the UK must be designed and installed in accordance with BS 9990:2015. 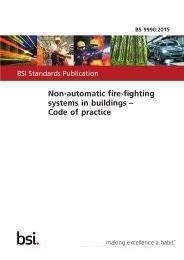 BS 9990 outlines recommendations for non-automatic fire-fighting systems in buildings. It covers good practice in matters affecting the design, installation, testing and maintenance of wet and dry fire-fighting mains and includes recommendations for provision and siting. BS 9990:2015 was released January 2015 and is available from the BSI shop. It Supersedes BS 9990:2006. When are dry risers required? BS 9990 does not give guidance on when or where dry risers are required. This is included in national building regulations. 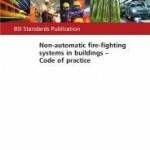 Building Regulations: Approved Document B (Fire Safety) requires that any building more than 18m high, measured from the fire brigade access level to the top floor, or which has floors more than 10m below ground must be provided with ‘fire fighting shafts’ and a fire fighting rising main. This can be a wet or dry riser. To read more about What is a Dry Riser? For further information and advice on dry riser regulations including design & installation or more details of BS 9990:2015, please get in touch with us.